This has been another good year! It is sweet to have friends from all over the globe who walk with me in this handweaver’s journey. Thank you for joining me here. We examine the meaning of life together, along with exploring the technical details of making cloth. I appreciate you, friend! 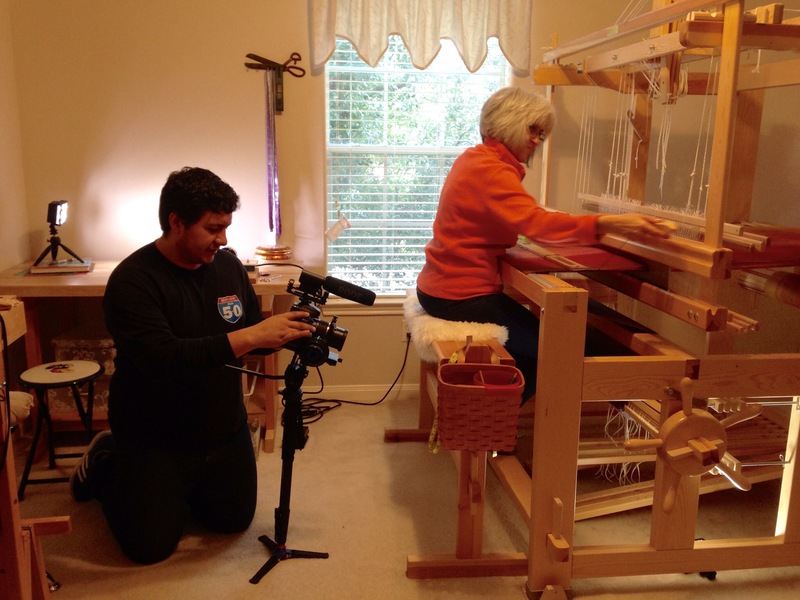 Thanks to my talented videographer son-in-law, Eddie, you now have a video that brings you into my weaving studio for a visit. Camera, lights, filming equipment, the works! After filming many clips of weaving in action and views of yarn and threads, Eddie interviewed me with pertinent questions. He compiled and edited the best shots, and added music, to create a short video describing Warped for Good. This welcome video is now at the top of the Warped for Good About page. May your friendships blossom throughout the coming year. Nancy, you sound knowledgeable! I am happy you enjoyed the video. Eddie gets all the credit. I appreciate you and Eddie for creating this visual aid to articulating the value of hand weaving. Slow is something we need exposure to, particularly in our current culture. Thank you for your thoughts! Yes, slow and quiet is a treasure when our culture is screaming busy. Loved your video! It’s nice to see who we are getting messages from. I am a pretty new weaver and have used lots of videos when I come to a new technique that I don’t know how to do. 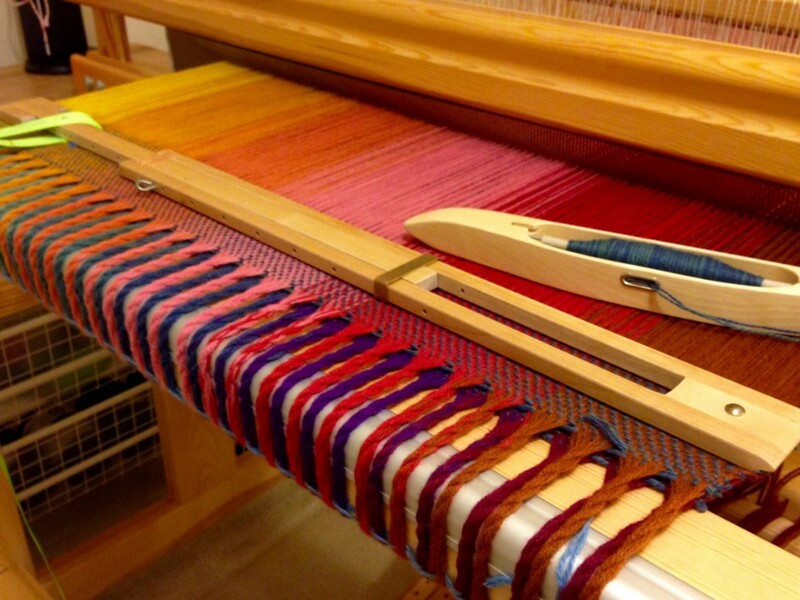 Your floor loom is beautiful by the way I started on a ridged heddle and bought a used loom and I am really enjoying it. It’s really nice to hear from readers, too. It’s great to get to know you! 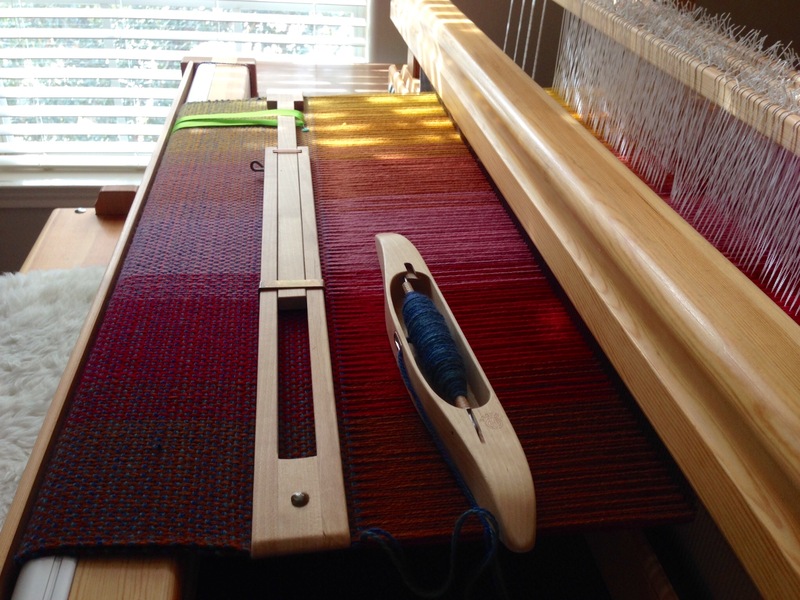 I will always appreciate the rigid heddle loom and the years of weaving pleasure I gained from that. 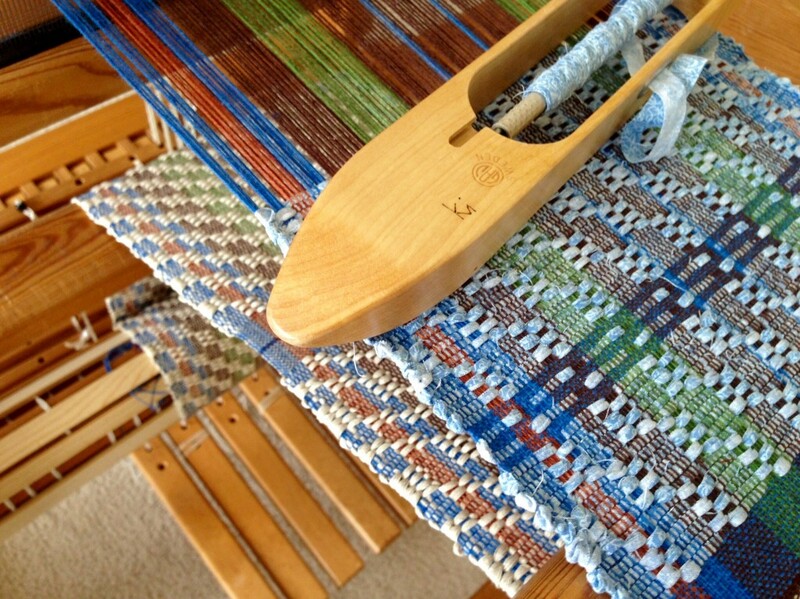 I think it’s a great way to step into the world of weaving. I have been considering making some short tutorial videos in the coming year. Let me know if there is anything in particular that you would like to see. Karen, I loved “visiting” with you in your studio. 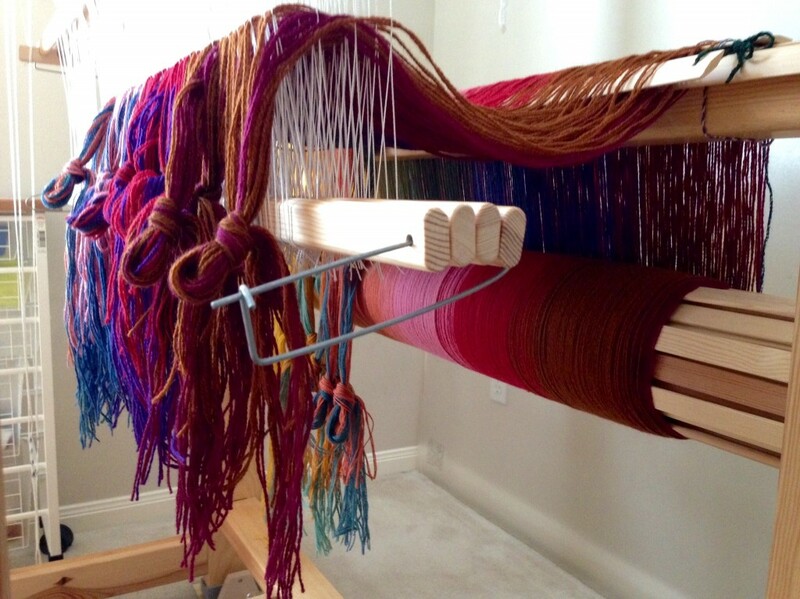 I too agree that the slowness of weaving gives us space to be ourselves and permission to listen to our inner self. I send you warm wishes for a very happy New Year that is full of weaving time. It’s good to hear from you, Martha! Thank you very much for your thoughtful sentiments and your well wishes. A year full of weaving time – what could be better? What a pretty video, thank you for letting me follow your weaving life. Grethe, it’s a joy to have you coming along with me. Great and wonderful video. Thank you for letting me “visit” you in your studio! Thank you for coming in, Helga. It’s a pleasure to “visit” with you! Gretchen, thanks for your encouraging words. 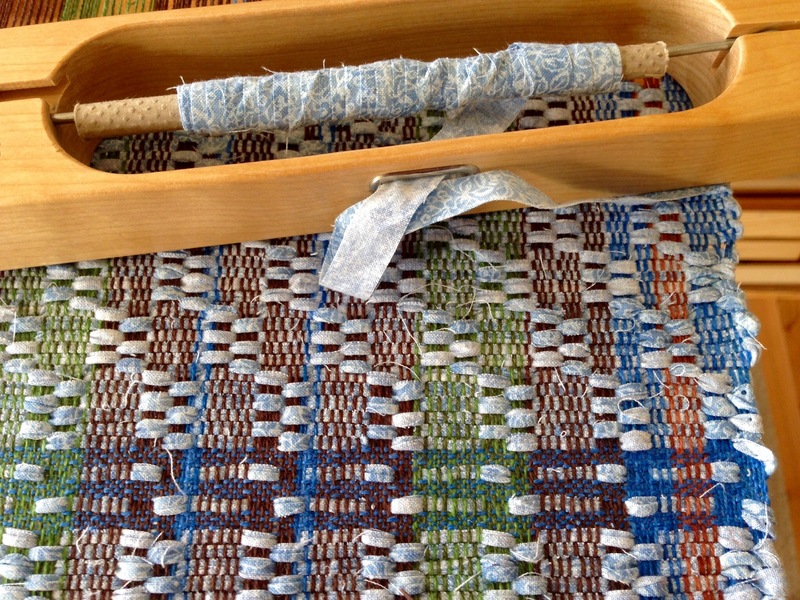 “Capturing the essence of weaving” is something I hoped we could accomplish! It will be good to see you again soon! Beautifully done! He did a fabulous job. I’m so glad you like it, Anne! Do you ever feel like you are just not making progress? Stopping bad habits and starting good ones can feel like that. Or, what about that craft project you meant to finish before Thanksgiving? 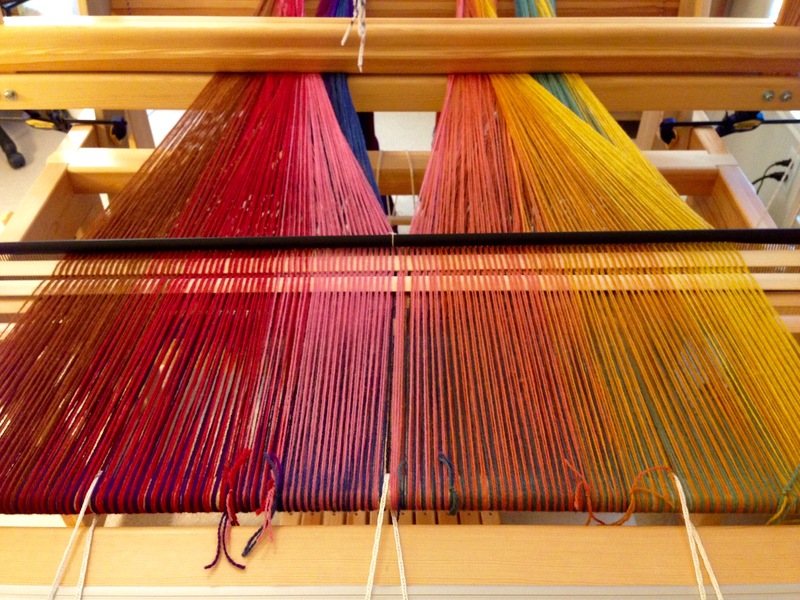 The loom is one place where progress is visible. You can’t fool yourself; the cloth beam shows you how far you have progressed. I find it encouraging to see the fabric that has been woven. What starts with an idea shows up as cloth. 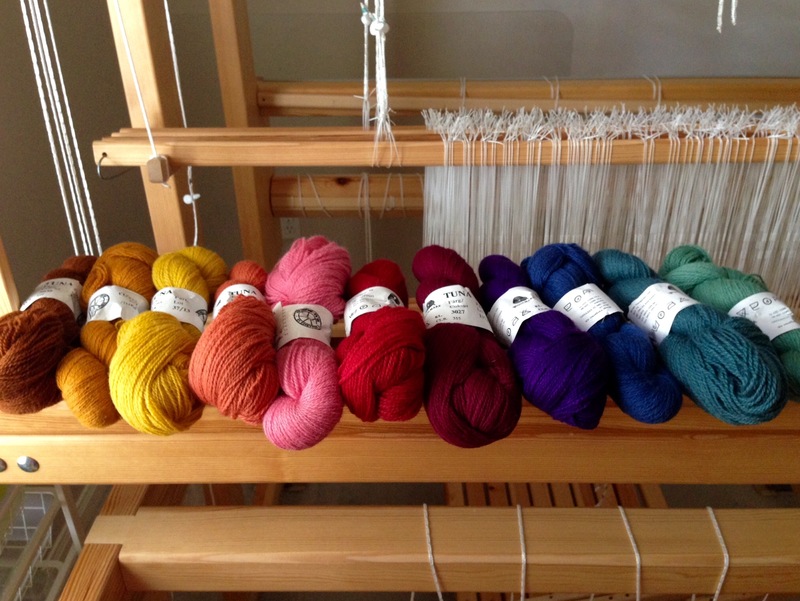 It all started with an idea and eleven colors of wool. As we settle into the very end of this year, we know that time keeps rolling on. The warp keeps advancing. This is a great time to look at the cloth beam of our life and see the progress. Like this blanket, much has been accomplished, but there’s more work ahead before it is time to cut it from the loom. 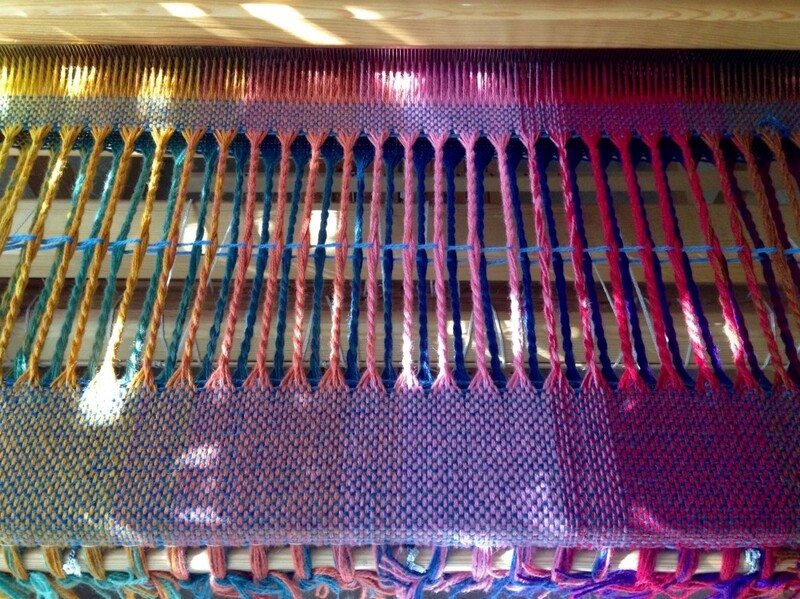 Bottom layer is spread on the loom. 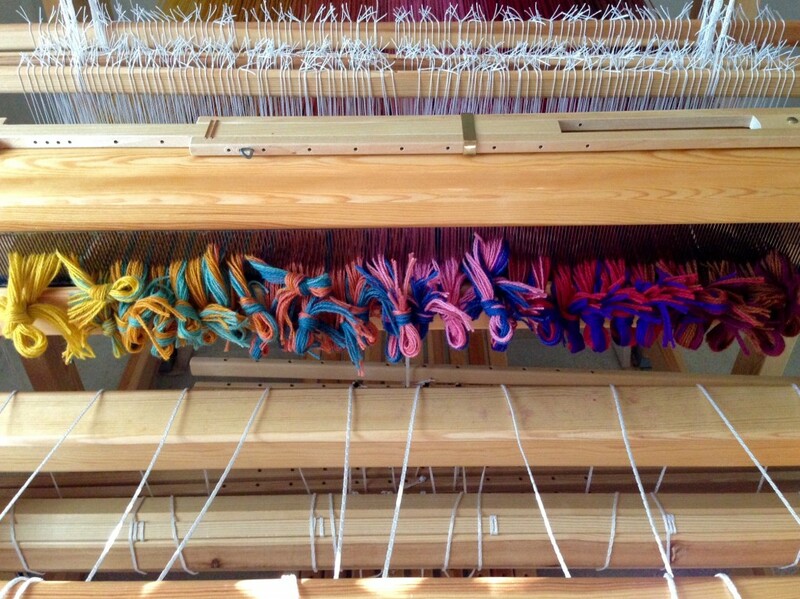 Upper layer is spread on the loom; and the two layers are combined on the back tie-on bar. Two sets of lease sticks keep all the ends in order. Beaming on two warps at once. After removing the choke ties, I beamed on with the warping trapeze, slowly and carefully. I stopped every few inches to check everything, to make sure nothing was getting hung up anywhere. Sampling helps determine weft colors, as well as checking the sett and weft density. Sample is cut off and warp ends are tied in bundles, ready to re-tie to front tie-on bar. Sample piece, after wet finishing, air drying, and brushing. 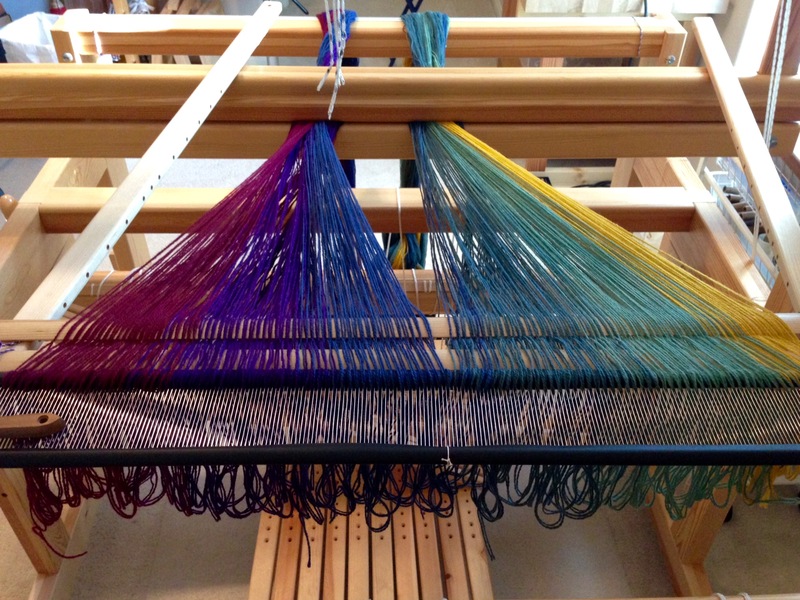 Fringe, twisted on the loom, goes over the breast beam as the body of the blanket is being woven. Progress is revealed. The beginning blanket fringe has reached the cloth beam! The fold edge of the blanket is in view. Dusk dims the colors, yet enriches them at the same time. Glad-hearted Christmas to all! 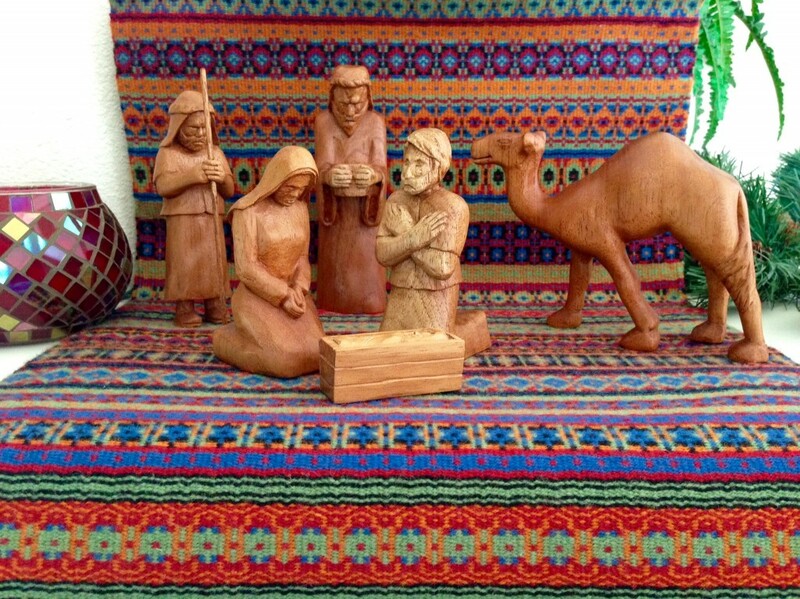 The camel is this year’s new figure in the hand-carved Nativity by Steve Isenhower. Bound rosepath provides the backdrop. May you enjoy reflecting on the progress you have made this year. Merry Christmas! The colors in the blanket are lovely. As I reflect on progress made this year, I find that I am thankful for your weekly posts. Thanks so much for being a part of my progress in 2014. Blessings to you and yours in 2015! Merry Christmas to you, Deb! I feel very honored to be included in what has been meaningful to you in 2014! Looking forward to the coming year with you. I am in awe of the nativity set your husband is carving, it is marvelous, as is your blanket !! Geri, thanks for your compliments! Steve is carving 5 Nativity pieces each year – his mother, our daughter, our two daughters-in-law, and me. Five camels this year. We are very blessed by his giving nature and his skill. I’m glad you like the colors! I am using Borgs 6/2 Tuna Wool that I purchased from Vavstuga.com. You can also get it from GlimakraUSA.com. I am using metric measurements for this project, and my sett is 6 ends per centimeter on each layer (12 ends altogether), using a metric 30/10 dent reed. That’s about 15 epi American on each layer (30 ends altogether). Warp width 77cm (30 1/4 inches). I enjoy your questions and comments! The fold is sleyed half, with 2 ends/dent. After I throw the shuttle, I insert my index finger between the outer warps to make sure the weft doesn’t pull in on the fold side. I always warp back to front – I am very comfortable with the process; it has served me well. Warping with a trapeze is something I learned from Becky Ashenden at Vavstuga. It is a way of stretching out the warp over a high cross bar and weighting the warp as it is being beamed; it provides for very even tensioning during the process. 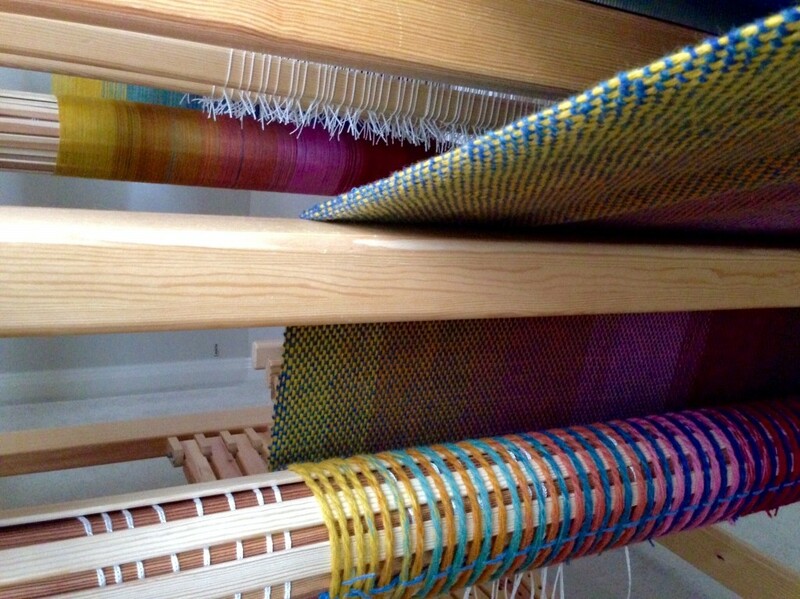 I have only woven on countermarche and counterbalance looms. I haven’t woven on jack looms at all (except for one time at a weaving workshop). I don’t have a double back beam, and have never seen one in use; but I understand what it is for, and think it would be useful for some projects. I have 8 shafts for my 47″ countermarche, but I remove the extra shafts when they are not in use. I only need four shafts (harnesses) for this blanket project, so the other shafts are put away in the closet. Why the stretcher (temple)? That is my favorite way to keep the weaving from drawing in, giving me consistent selvedges. 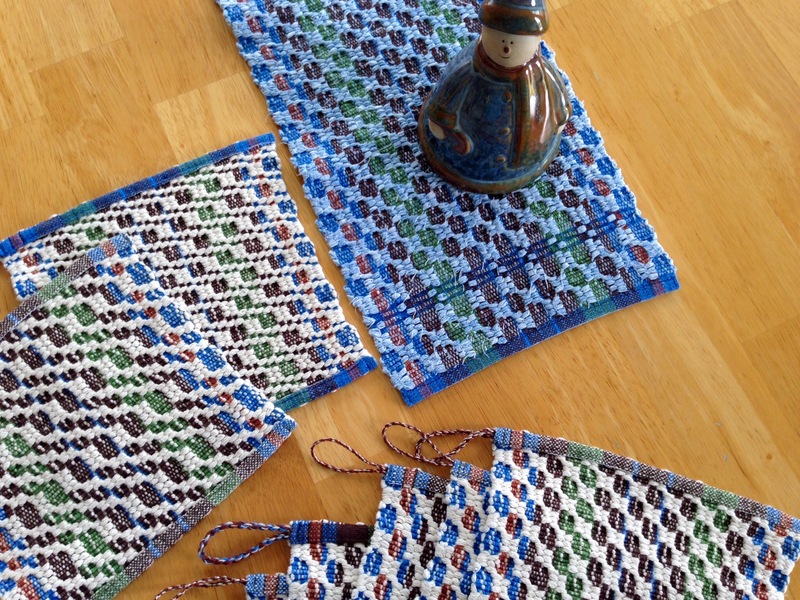 It seems like a common tool among people who weave according to Swedish traditions. 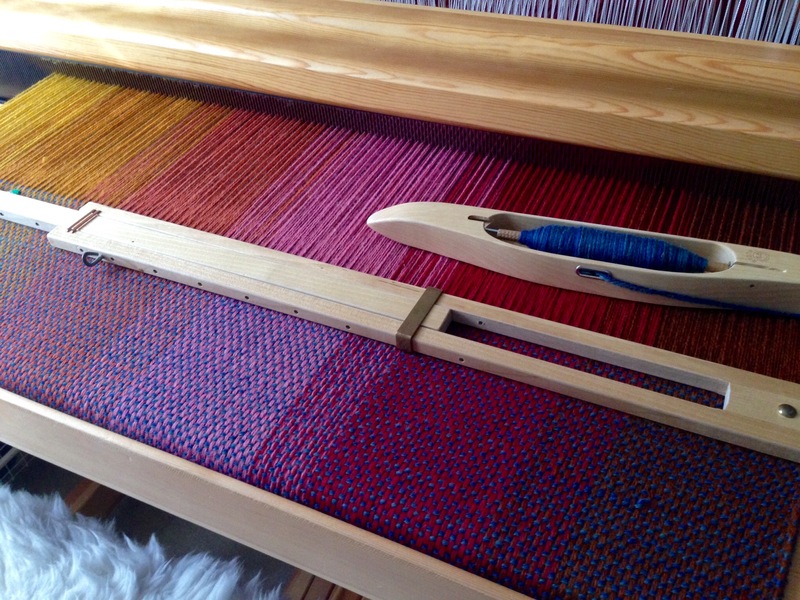 With my Swedish looms, I enjoy learning the Swedish traditions in weaving techniques. It’s my goal to learn as much of that as possible. Joanne Hall and Becky Ashenden have been great helps to me in that endeavor. Becky is one of my favorite people, too. It’s fun to find out your connection with her. Yes, she did learn in Sweden. Linda, I appreciate all your kind encouragement! I don’t know Mikala Sidor. She sounds like someone I need to find more about. Olá, I wonder how it weaves rosepath , threading, treadling you could help me , I’m not here in Brazil too much information , I can use a loom 4treadles. I need to have something like the drawdown Rosepath. thank you sincerely love your work and hope that one day I can be as good at weaving like you. Thank you for your kind words! 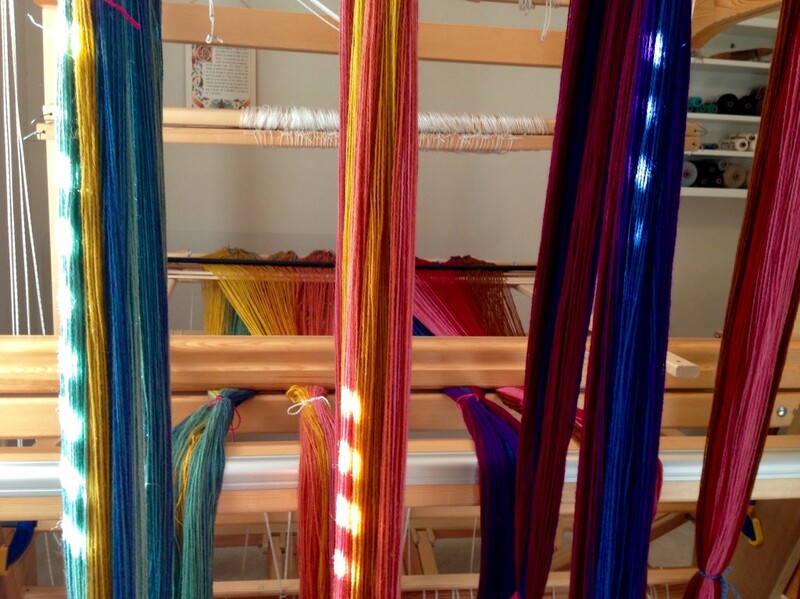 I will send you an email with more information about weaving rosepath. 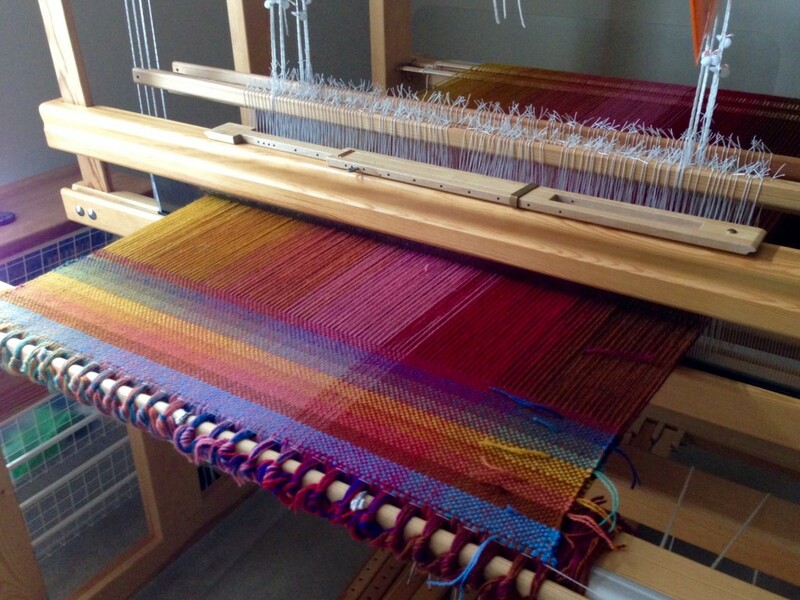 In your 9th picture on this page I see fringes already twisted while on the loom. Do you tie on like this? Hi Tamara, Thank you for asking! 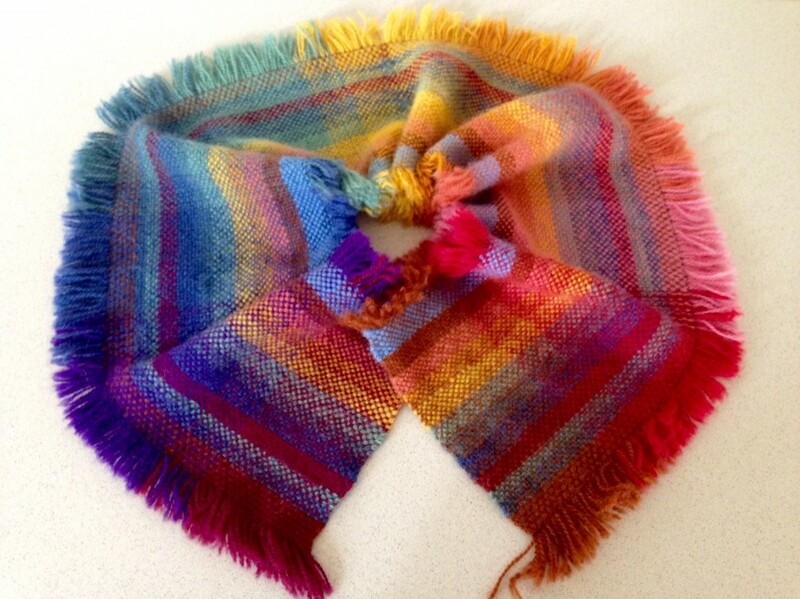 Have you tried twisting fringe on the loom? I haven’t done it before now. You will find out with me how well this works, because I will show it to you when the blanket is woven and cut from the loom. A doubled warp thread runs through the fringe lineup, holding the twists in place. It is an amusing sight to see these yarn “toy soldiers” all lined up in color order. I know this should work. I know a lot of things; but my knowledge isn’t always as important as I think it is. Upper and lower layers of a double-width blanket are seen in the twisted fringes. Care was taken to not weave the two layers together accidentally. More important than what you know is who knows you. Everyone longs to be known. We want someone to know we are not just one of many in a lineup of nameless toy soldiers. God knows those who love him. He satisfies our desire to be known. And that reminds me that I really don’t know everything. May you successfully try something new. 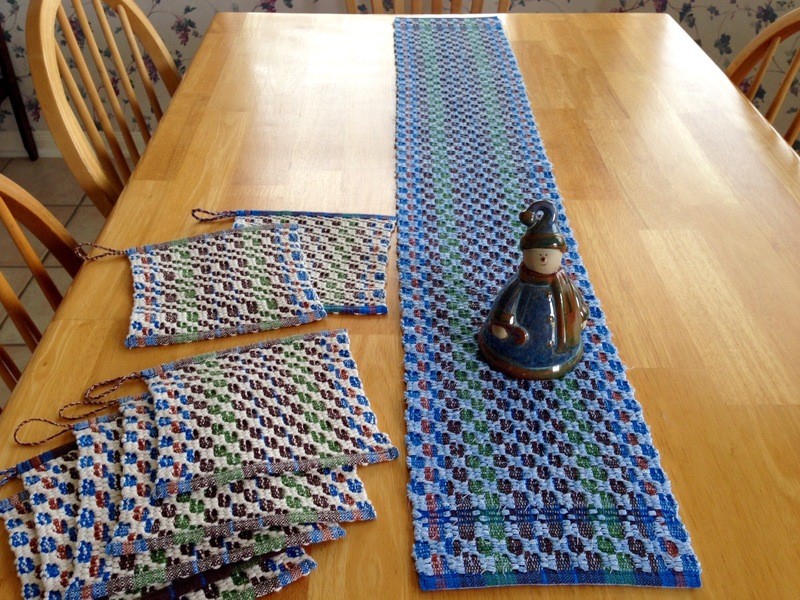 This is a simple way to make a rag weave table runner. The M’s and O’s weave structure provides a great framework. What I like about narrow fabric strips is that you can wind them on quills, just like yarn, and weave with a boat shuttle. It is fast weaving that breezes right along. Boat shuttle holds quill with narrow fabric strips to weave table runner. In view below the table runner are pot holders that were woven using unbleached cotton multi-strand yarn. I could use a small ski shuttle for this, as if I were weaving rag rugs. 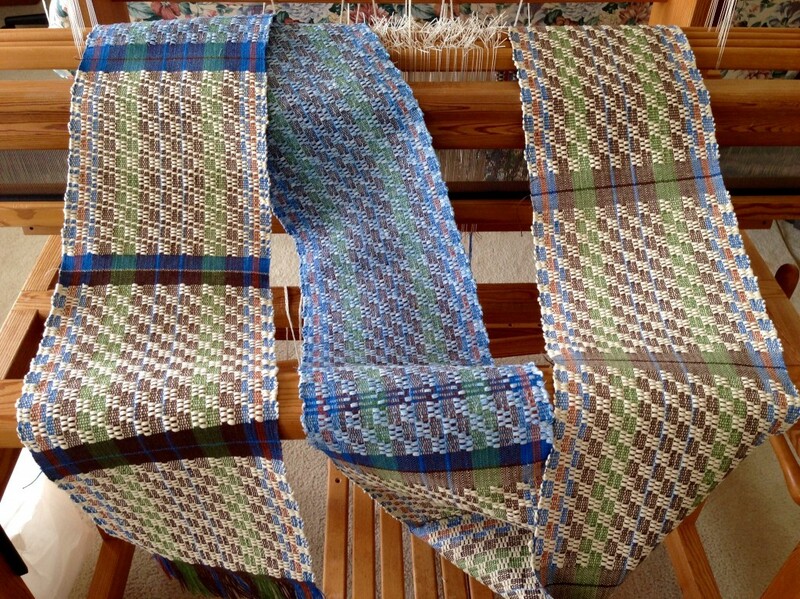 Or, I could even place the weft across by hand on this narrow-width warp. The most efficient way is the boat shuttle, and the main thing is to get the weft across so weaving can happen. In life and relationships, it is love that needs to get across. Patience and kindness are universal expressions of love. Love never fails. It started with the patience and kindness of God. As we draw toward Christmas, consider the meaning of the holiday–that God so loved the world. His patience and kindness toward humanity meant sending His son to our world. And that baby, named Jesus, became God’s way of taking love across the gap between heaven and earth. May you be known for patience and kindness. Linda, I feel very honored by your gracious comment, especially considering your vast experience. I’m glad you like this M’s and O’s version. Thank you! Your fabric strips look so neat and even…can you describe how you cut the fabric strips? Most of my fabric is in five yard lengths. I fold the fabric on my cutting table, so I am cutting through several layers, to cut along the lengthwise grain. I use a large-blade rotary cutter and a cutting mat, and an acrylic cutting guide ruler, to cut the fabric into 3/4″ strips. I taper the ends of the strips for overlapping in the shed.